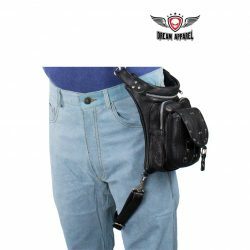 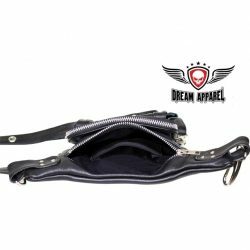 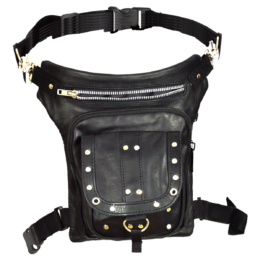 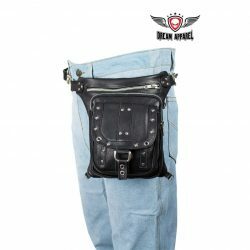 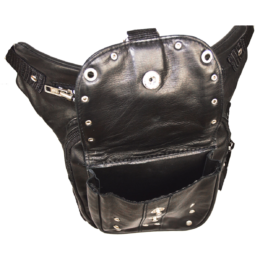 Bikersgearonline new naked cowhide leather black studded bag is a must have. 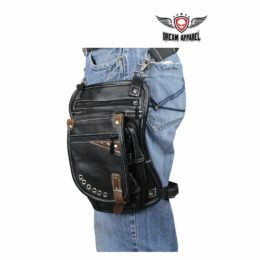 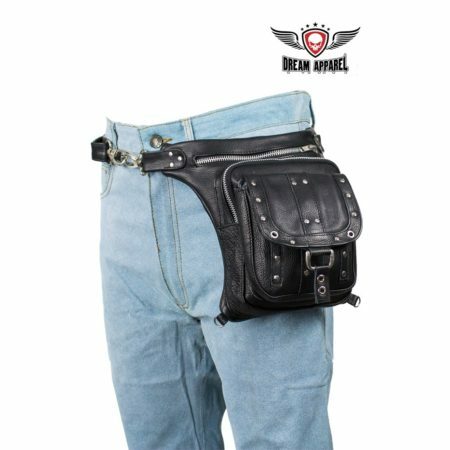 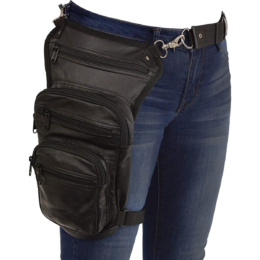 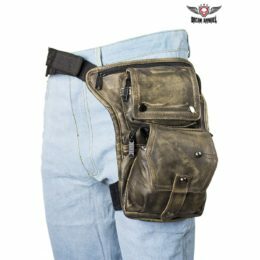 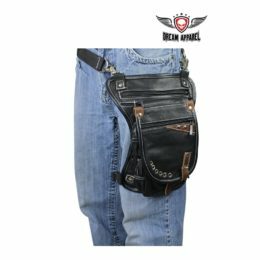 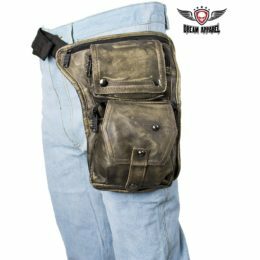 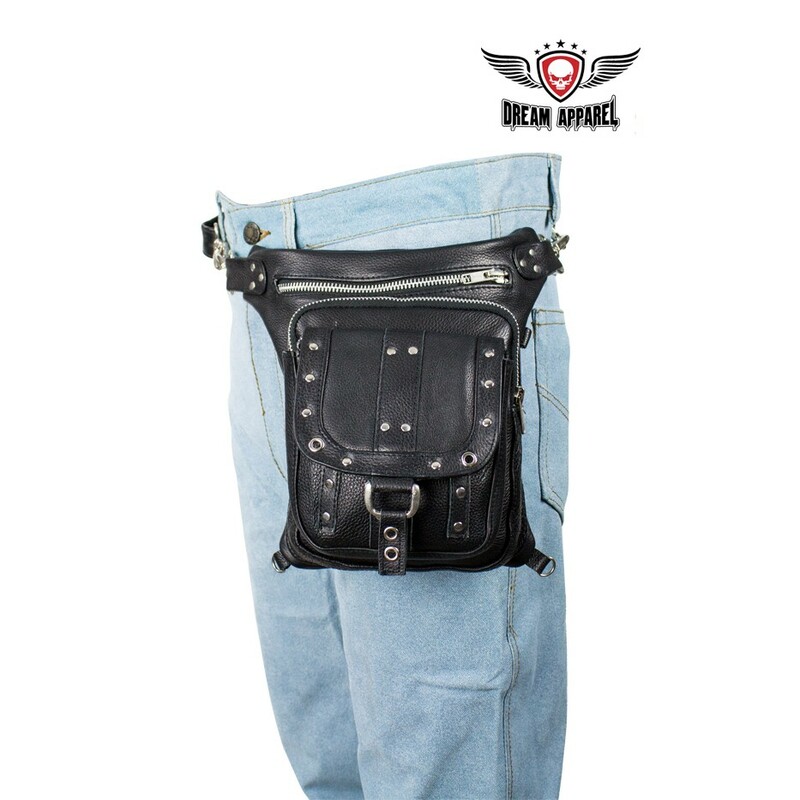 With interchangability, it can be used as a thigh bag or you can throw it over your shoulder. 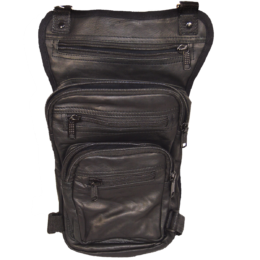 This bag features three pockets, tow zippered and one snapped. 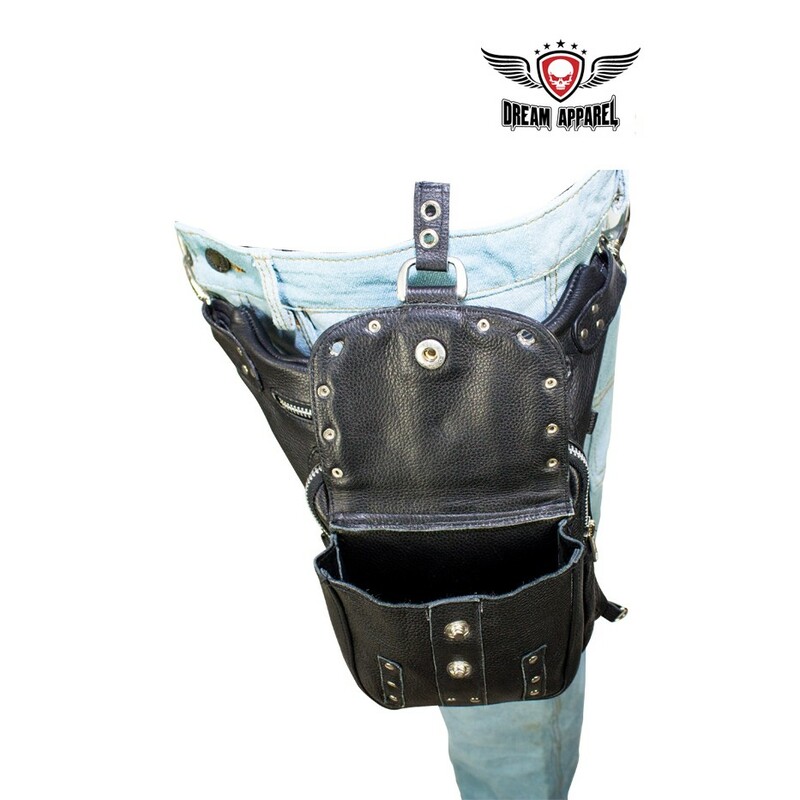 In the front, you are met with a beautifully designed studded dual-snap pocket which is the smallest of the three. 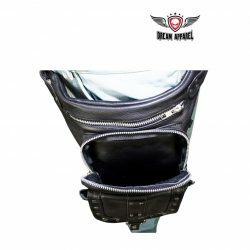 Just above that is the first zippered pocket, slightly bigger than the snapped one, this gives you room to store some more essentials. Lastly, another even bigger zippered pocket is featured and this one includes a gun pocket hidden inside. 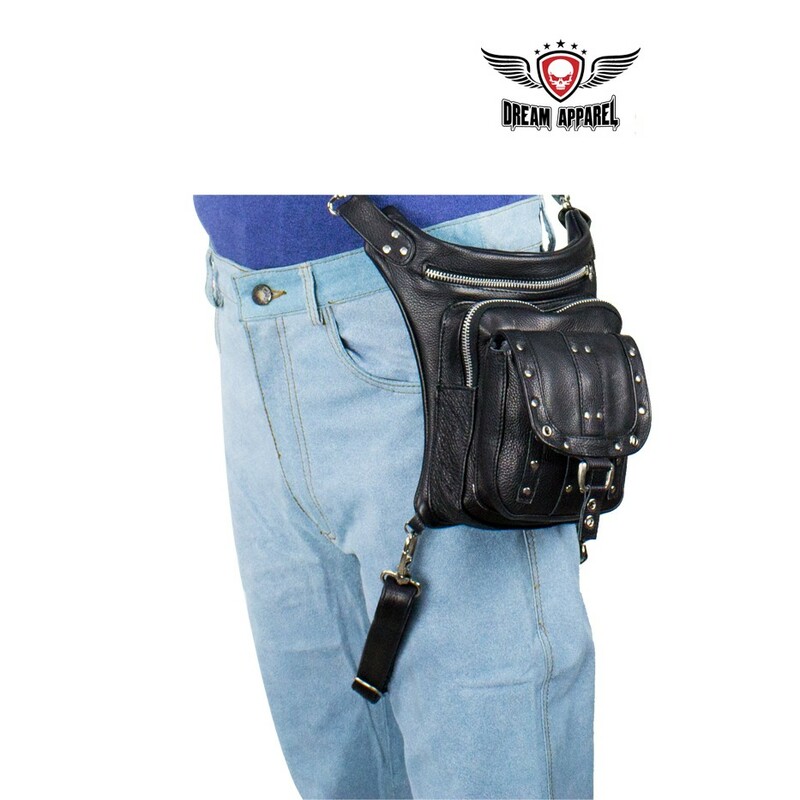 This bag is perfect for all ladies looking to improve upon their look.